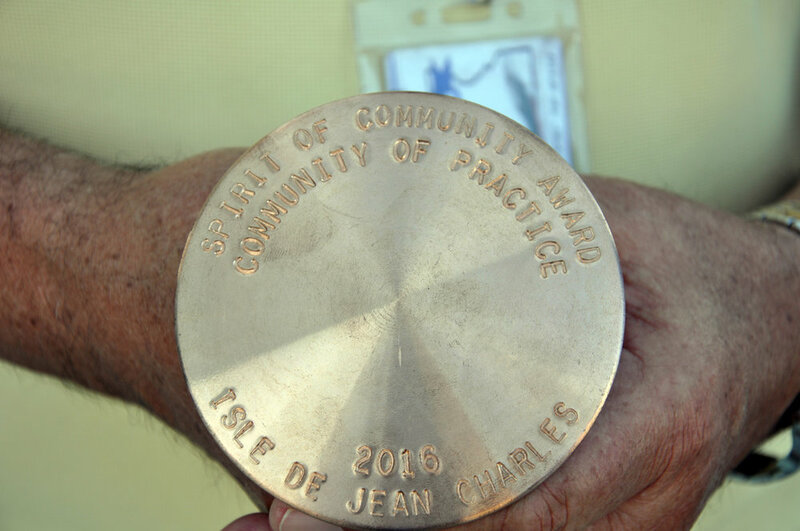 Our tribal resettlement is a living and active bridge from our ancestral Island, which is rapidly eroding, to a sustainable future for the Isle de Jean Charles band of Biloxi-Chitimacha-Choctaw Tribe. 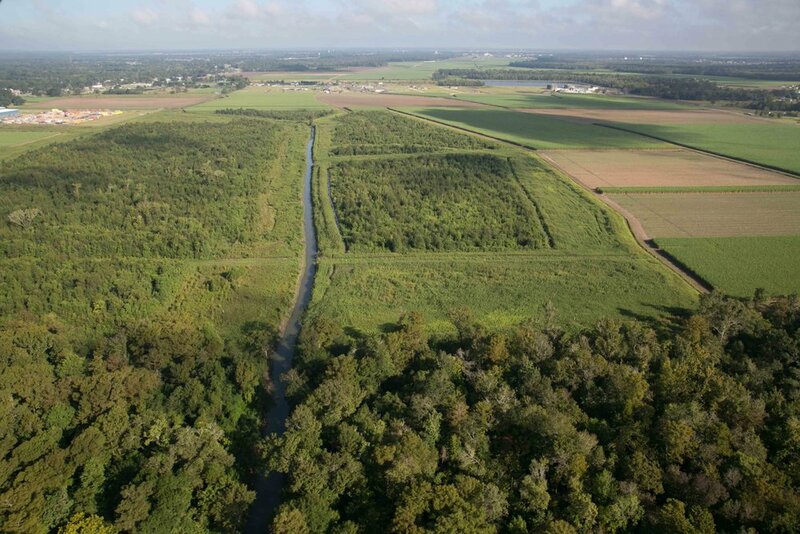 After the United States Army Corps of Engineers realigned the Morganza to the Gulf Hurricane Protection Levee in 2001, leaving the Island out, the Tribal Council made the difficult decision to resettle. For nearly two decades we have been organizing. We see resettlement as the best way to reunite our displaced tribal members and rekindle our traditional life-ways. Our relationships, ways of life, networks of care, and identity will be supported in a community center, museum, and gathering areas. Oral teaching and learning of our histories will be reinvigorated in our childcare and educational spaces. 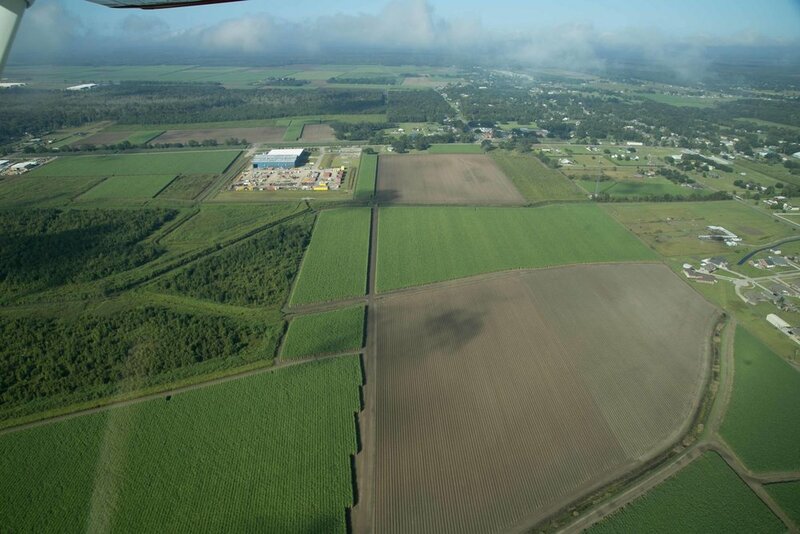 Community gardens will serve as catalysts to recreate the self-sustaining society we once had. 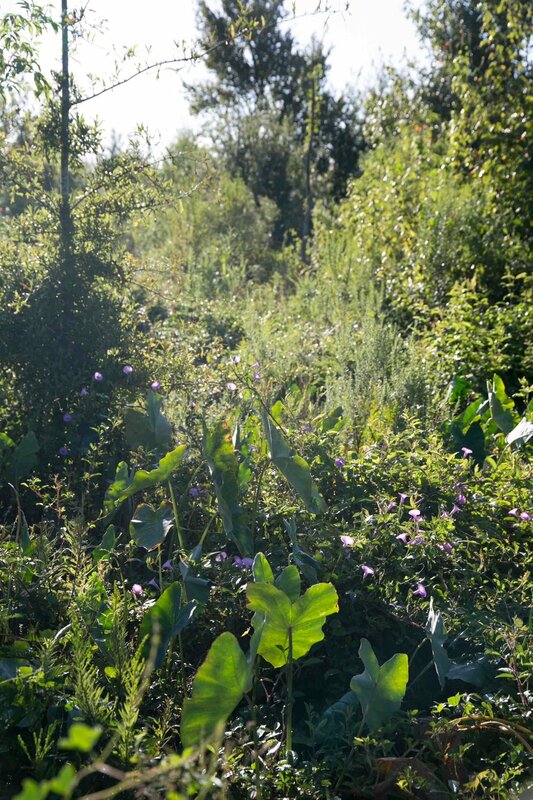 Our library, seed-saving program, traditional healing herbs, gardens, and market will nurture our Tribe. Our resettlement provides safe and sustainable housing for those at risk of flooding on the Island and tribal members who have been already been displaced. Through our tribal resettlement, we embrace our role as a teaching community and hope to support others dealing with environmental disaster. We will continue to stand alongside other tribal communities who are providing essential leadership in building resilience to the effects of climate change. 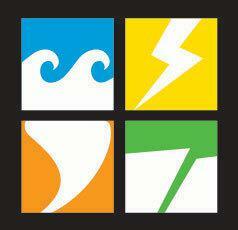 We also stand with the coastal communities around the nation grappling with our changing climate and related hazards. Our existing collaborations with local colleges, universities, nonprofits, communities, and other tribes are the essential building blocks to providing a model for resettlement and sustainability. We are honored to have been awarded a Mississippi - Alabama Sea Grant Consortium award for our Tribal Resettlement planning activities and our efforts to build partnerships for climate resilience. Our tribe is collaborating with the Grounded Solutions Network and Burlington Associates to secure sustainable and permanently affordable housing. 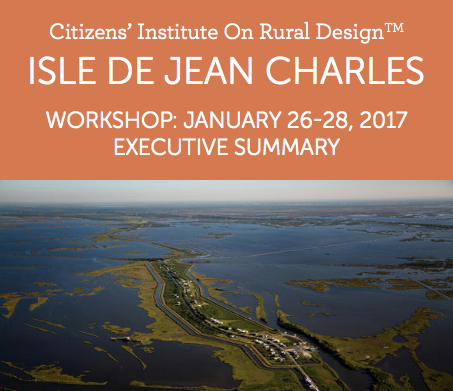 The Isle de Jean Charles Tribe has partnered with Citizens' Institute on Rural Design to organize place-making workshops to support the planning of our tribal center. Chief Naquin presented resettlement plans at PRiMO 2016, sharing a panel with the Prime Minister of Tuvalu, Honorable Enele Sosene Sopoaga, and Former President of Kiribati, Honorable Anote Tong. May 17, 2016. 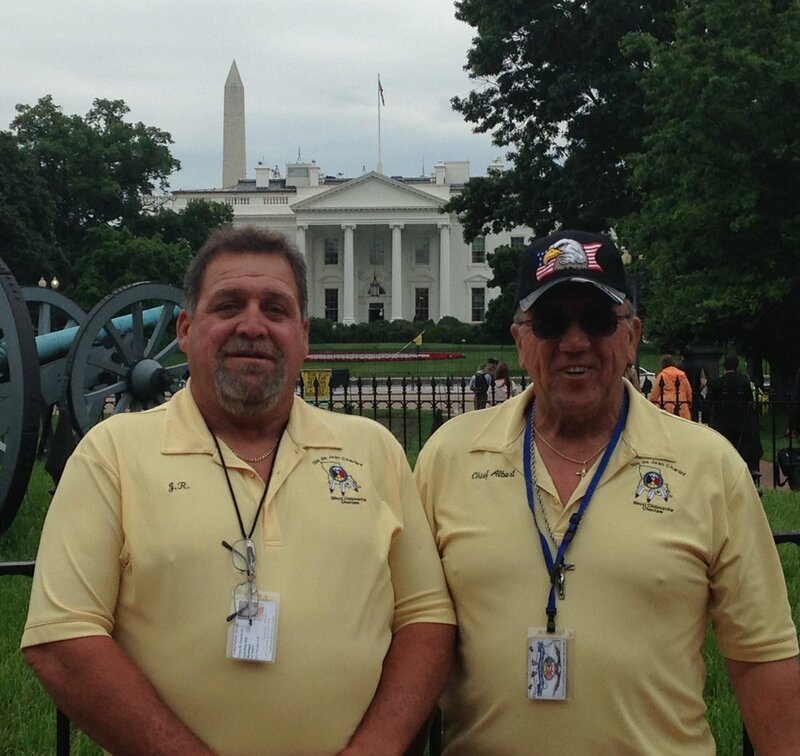 Tribal Advisor, Démé Naquin provided testimony to the U.S. House Natural Resources Committee to garner support for the tribal resettlement. January 21, 2016. Our tribal resettlement was awarded Housing and Urban Development support through the National Disaster Resilience Competition. June 22-25, 2015. Chief Albert Naquin attended the Natural Hazards workshop in Bloomfield, Colorado. In addition to participating in the many workshops and panels, Chief Naquin shared the Tribe's plans to resettle during a panel entitled, "Native American Perspectives on Disaster and Resilience"
January 18-19, 2016. 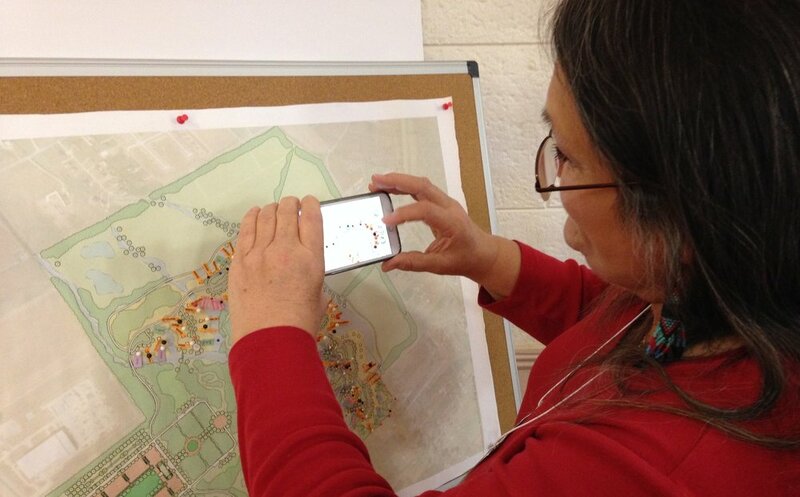 The Isle de Jean Charles band of Biloxi-Chitimacha-Choctaw Tribe and the Lowlander Center organized a two day workshop with indigenous leaders from around the world, architects, planners, students, and community development experts to contribute to the resettlement planning process. April 19-22, 2015. 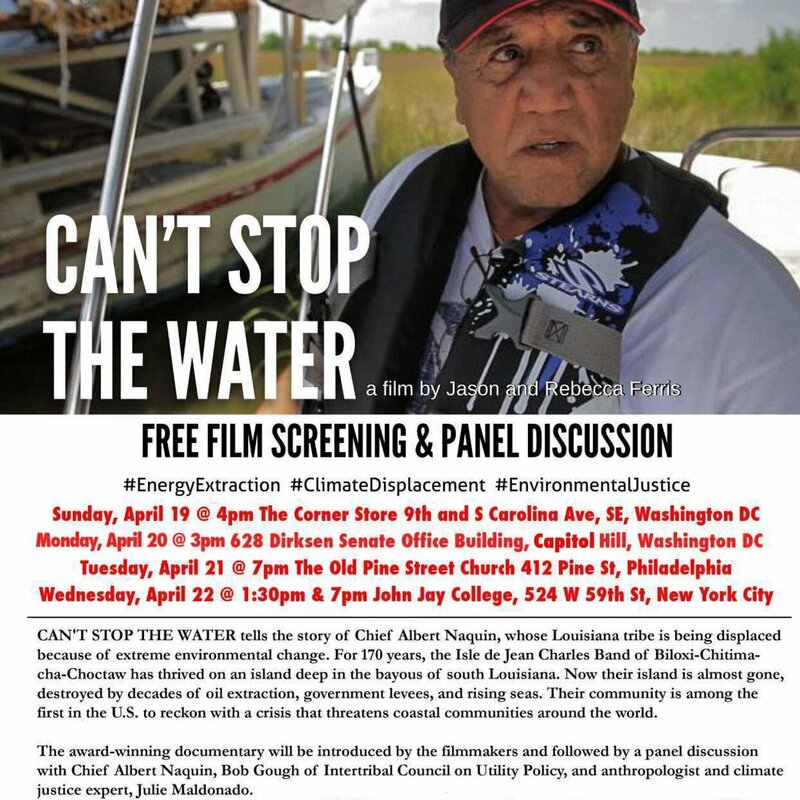 Tribal leaders partnered with Can't Stop the Water director Rebecca Farris, Temple University Ph.D. student Nathan Jessee, Dr. Kristina Peterson of Lowlander Center, Dr. Julie Maldonado, and Bob Gough for a tour of film screenings and panel discussions to build support for our resettlement plans. 2013-2014. 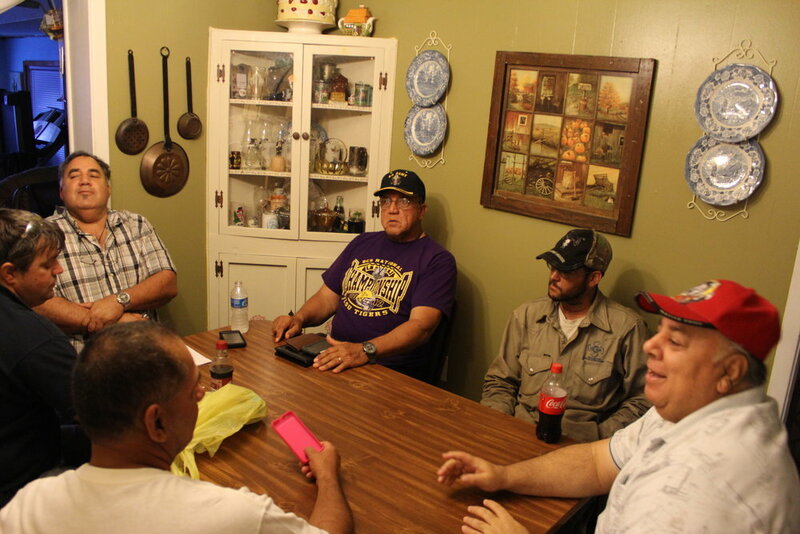 The Isle de Jean Charles band of Biloxi-Chitimacha-Choctaw Tribe and the Lowlander Center conducted multiple workshops and knowledge-sharing sessions related to sustainable tribal resettlement in order to submit a proposal for the 2014 Clinton Global Initiative. December 9, 2009. 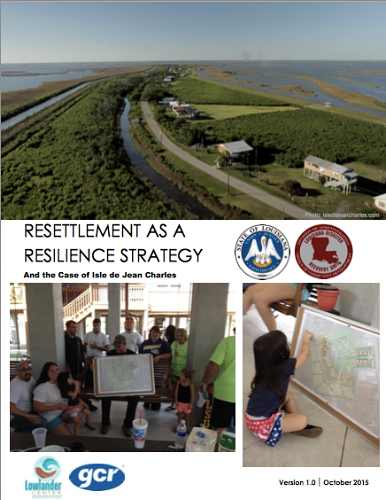 The Isle de Jean Charles band of Biloxi-Chitimacha-Choctaw Tribe presented tribal resettlement plans to the Terrebonne Parish Council, establishing important local and regional partnerships on our path to resettlement. 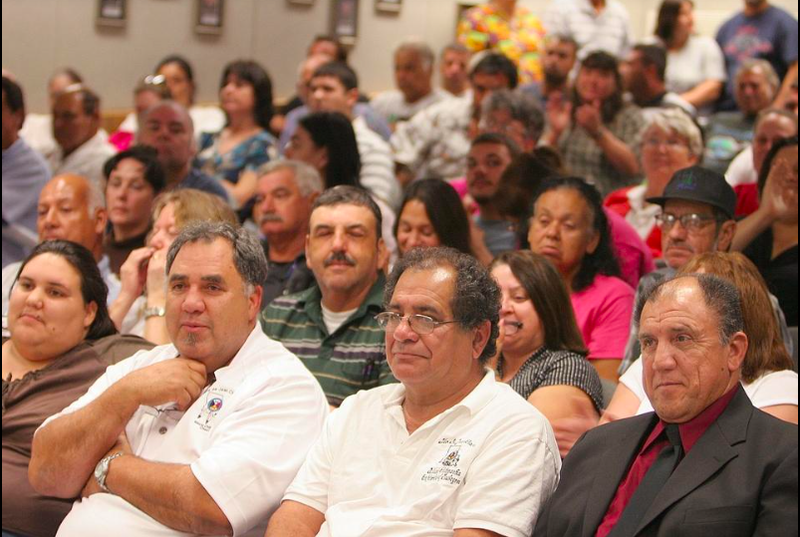 The Isle de Jean Charles band of Biloxi-Chitimacha-Choctaw Tribal Council voted to resettle their Tribe further inland. 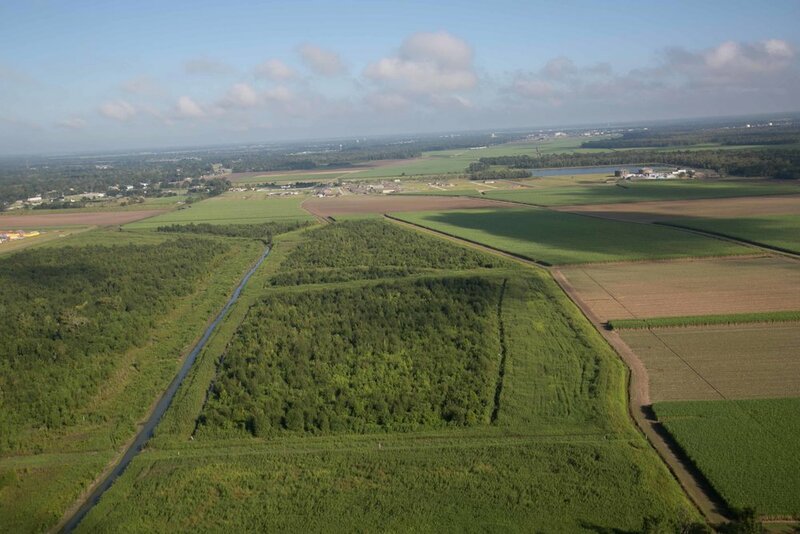 The difficult decision came after the U.S Army Corps of Engineers Morganza to the Gulf Hurricane Protection Levee Re-alignment excluded the Island from its protection. 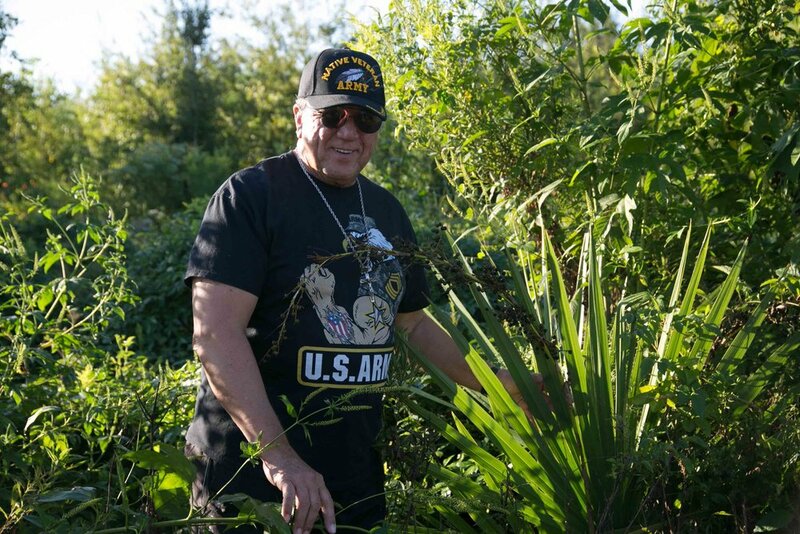 Traditional Chief Albert Naquin explores the new Tribal Resettlement Site.